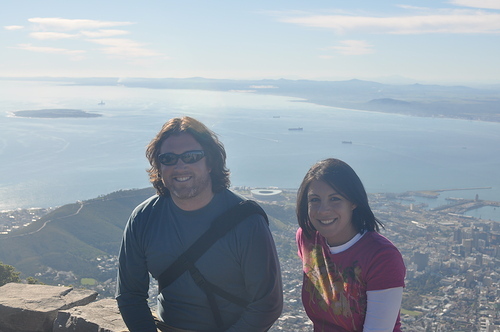 A couple of young travelers who have been together for over a decade, and have already seen over 55 countries! We would always rather be on the road to visit some foreign country than sitting at home, just too bad our dog can’t travel with us. And now have a new travel companion, our daughter Mattea Rain! AM – had no idea you guys were such world travelers – 35 countries?! Amazing.